The original CLC "C" fixture, shown with hexagonal acid etched glass. 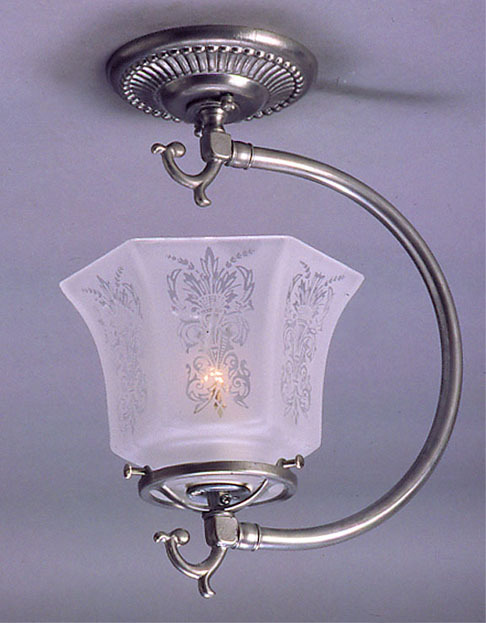 Designed as a Federal styled gas light, this one is a delicate stunner! Width 11 In. / Height 13 In. or Custom.